But the iPhone 6s was the top seller in the U.S.
Tim Cook may believe China is Apple’s future biggest market, but that belief is challenged by new data showing the iPhone’s market share in “urban China” continues to decline. The iPhone fell 4.4 percentage points to 14.3 percent for the three months ending in July, according to the latest figures from Kantar Wordpanel ComTech. Android, by comparison, rose 5.6 percent to a dominating 85 percent during that same time period, representing an all-time high for Google’s mobile OS in China. 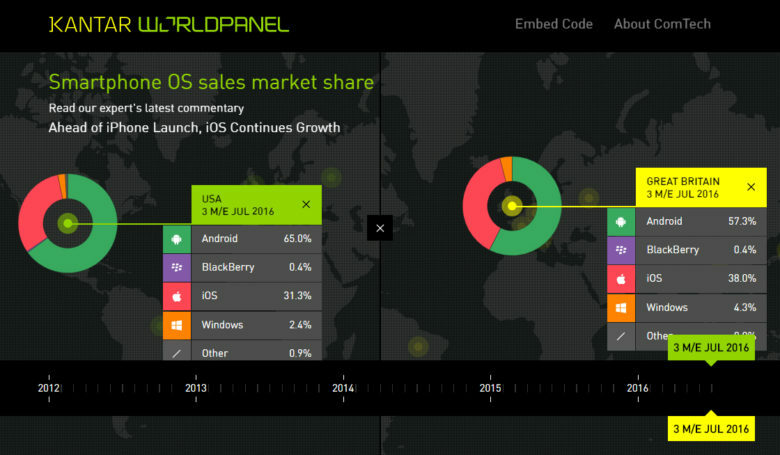 Apple did well pretty much everywhere except China. Overall, Apple ranked third in terms of China handset sales, behind Huawei and Xiaomi, although Kantar didn’t include Samsung as part of its rankings. The news isn’t awful for Apple, however. “33 percent of the current iOS installed base owns an iPhone 6 or 6 Plus, representing a large opportunity for iOS to return to growth in the coming months as the latest iPhone is released and consumers contemplate the upgrade,” said Tamsin Timpson, strategic insight director at Kantar Worldmarketpanel ComTech Asia. It should also be noted that Apple has never been a company that chased market share — particularly since the arrival of Android. Cook has acknowledged that Apple takes the Chinese market into consideration when designing its new devices. But the company hasn’t put out a low-end smartphone to directly compete with the bottom-dwelling OEMs building cheap Android phones. Outside China, this was a good three months for Apple: Cupertino has captured a bigger slice of the worldwide smartphone pie than a year ago. Market share was up to 31.3 percent in the U.S., while there were also advances to 18.4 percent market share in the five main E.U. markets, consisting of the U.K., Germany, France, Italy and Spain. 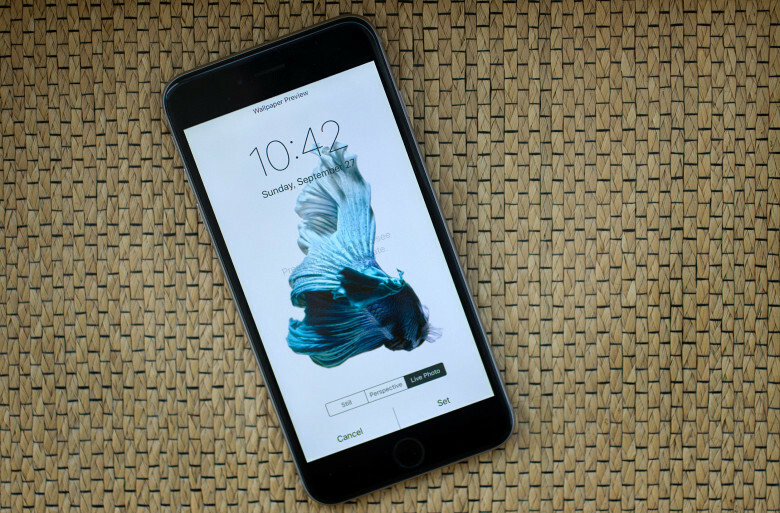 Overall, the iPhone 6s was the top-selling iPhone in the United States, with 11 percent of the market. The two-year-old iPhone 6, meanwhile, still represents an impressive 4.1 percent of U.S. smartphone sales.